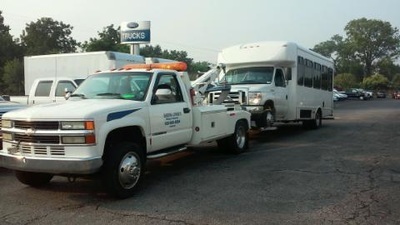 We offer Towing, Recoverys, Most Lock-Outs, Jump Starts, and more. Contact us today or just keep the number available in your phone in case you need our services unexpectedly in the future. 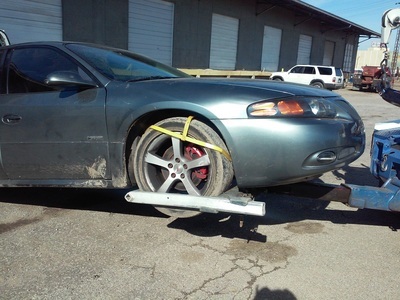 LONGER TOWS: cars and pickups, (Approximately 35 MILES or MORE), $45.00 Hookup + $3.00 mile. 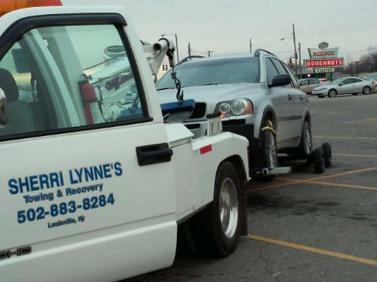 Sherri Lynne's offers experienced and rapid service with a TOW TRUCK properly insured and maintained. If your vehicle is a 4×4 or AWD, you should call a roll-back (flatbed), not a TOW TRUCK. Storage of vehicles is available in a fenced area, giving you time to make your best choice for a place of repair, or that an insurance adjuster can view your vehicle at their convenience. If you have vehicle problems in downtown Louisville or the areas of Lower Hunters/Dixie, Outer Loop/Preston, Crittenden Drive, U of L, Eastern Parkway/Poplar Level, Cane Run/Crums, Taylorsville/Breckenridge Lane, call Sherri Lynne's. You will receive accurate arrival time estimates, insured and dependable service from an experienced driver you can count on to take care of your vehicle and you. Best, cheap, light towing service that isn’t actually "Cut-Rate". Sherri Lynne’s has proper insurance, experienced drivers and well maintained equipment.